Who's ready for school? Fashion school, that is! We're excited about this month's Make it with Mod Podge episode debuting today - Cathie & Steve show us how to transform a boring notebook, tote and planner into adorable owl themed cuteness! Find a scrapbook paper you love for inspiration, and add embellishments for a fun touch to any notebook. We love the flair of using Mod Melts and Molds to add dimension to this planner and notebook. This sweet touch is so fun, don't you think? 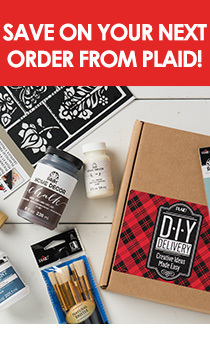 Get the full supply list and detailed instructions for all three DIYs, and subscribe to our YouTube channel for new Make it with Mod Podge videos the first three Fridays of every month.